Dynamics Air Conditioning & Heating Mechanical Service is here to help the people of Delaware with any HVAC issue they may face. Whether you are facing problems with the heating of your commercial building or the cooling of your home, we can get the job done efficiently and at an affordable price. The Heating, Ventilation and Air conditioning systems (HVAC) of your Delaware home or business are complicated pieces of machinery and over time, like all machinery, will require the occasional repair to make sure that it supplies the heating and cooling requirements that you have. Here are some warning signs to look for to so you can spot small issues before they become big problems. 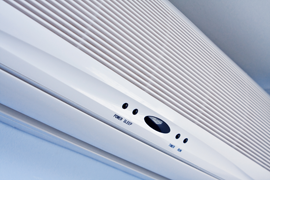 Does your air conditioning system not respond to climate temperature changes? Air conditioners should be able to gauge the temperature in your Delaware home or business. If the air conditioner is continually running or seems to run much longer than normal it is a sign that it needs repairs. Does your air conditioner make excessive noise? If your unit is louder than it used to be then there is a problem somewhere. Is your thermostat accurate? If you set several rooms in your Delaware home or business to the same temperature, does the temperature in every room feel the same? If not, this could be a problem with the power of your heating systems, the vents which direct the heat or the thermostats themselves. If you have a furnace, make sure to check the burner flame periodically. If the flame is yellow or flickering, this could mean that your furnace is leaking dangerous carbon monoxide. This should be inspected by a professional right away. Did your energy bill go up? HVAC systems take up significant percentage of your energy bill. However, modern systems are energy efficient and designed to be very consistent in terms of their rate of consumption per temperature increase or decrease. If your energy bill has gone up then there is a high chance that your HVAC requires repairs. If the people of Delaware need help returning their HVAC systems back to peak condition then make sure to give Dynamics Air Conditioning & Heating Mechanical Service a call.